darkness in this lowest hour. oxygen is scarce, sounds weighted down. to the bone, where truth is spun. There was, there is, and there will be love. Across the church, I saw her big, toothy grin. It made her face expand and inflate. She was chasing after her son, a puffy toddler loose in the church, racing to the altar steps with all the abandon of a baby bull in a sacred store. She grabbed him and brought him in with one swooping motion that parents know how to do without trying. I remembered the Wednesday service, when she cried in the pews. The Reverend Mother sat with her quietly, holding her and this child whose father now lived halfway across the world. Her mother told me what happened and how it happened and wished her daughter could let the anger go. And today, chasing the boy down, she couldn’t help smiling when she picked him up, just like she can’t help the anger. I know that feeling. There’s nothing you can do about it but trust it and hope that the boy, and the smile and the joy, are bigger than the heartbreak. There was, there is, and there will be love. The story is true. The smile was huge and beautiful. 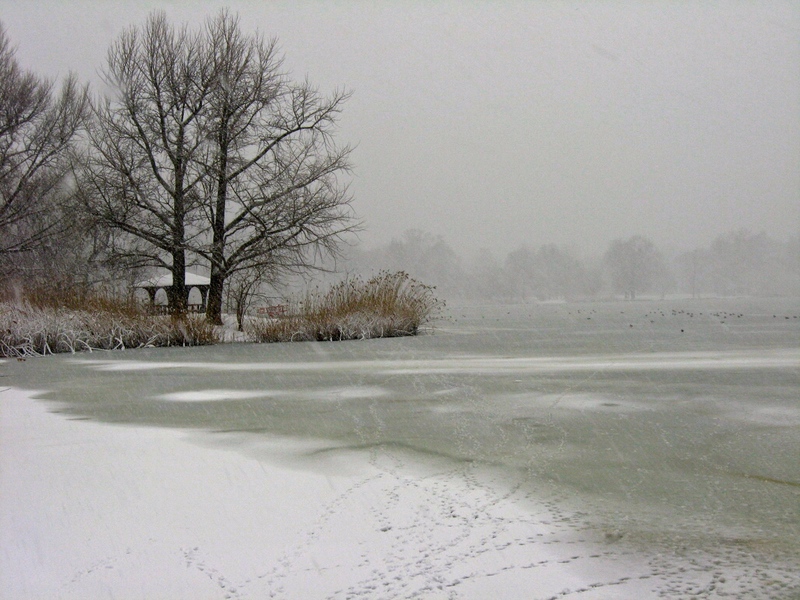 The photograph was taken by the author at Prospect Park, Brooklyn, in 2010 during a snow storm. 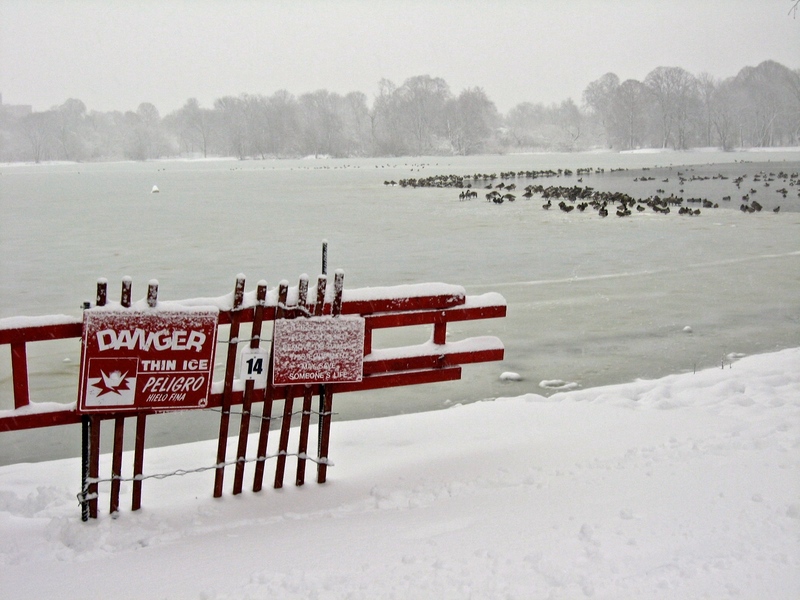 Only the birds cross the ice on Lake Prospect.